The spring session came to a swift end (I suppose that is always how things end, isn’t it? No slow-mo montages like in the movies, no lengthy, profundity-laced embraces accompanied by a melodramatic musical score), a whirlwind of goodbyes, celebrations both happy and melancholic, early morning flights back stateside, and a constant reaching and searching for words that would always be inadequate in describing what the past three months have meant to us all. The world keeps on spinning without asking our approval, and we all have to roll on with it. Such is a reality no philosopher or theologian or clever songwriter has satisfyingly retorted or provided an alternative course of action for. However, even though time and space shifts for one and all alike, no matter where we go or what we do, I think I can speak for all the spring interns in saying that our time together with TYO Nablus will bond us indelibly, both to one another and to this city. It was a wonderful time, a foundational time. Pardon me, the reverie and reflection, yet I want to convey just what the program at TYO has come to mean to those who have passed through. Seminal might be a good word. So thank you, for everyone that has made this program possible. 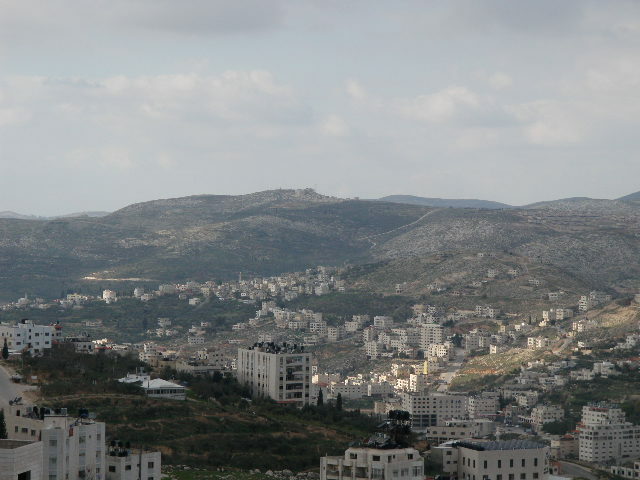 As for the here and now, well, I’m back to Nablus for another few months to help with the launching of our summer camp. Being back in town also means I can continue the Midnight Football League that Adam and I organized over March and April. For the summer, we will be expanding the program to new age groups, starting a youth academy for the young lads and lasses just getting their feet wet in the sport, and also opening up the senior league to as many new recruits as Khallet al-Amood can provide us. I can’t wait to get started, and will be sure to keep you all informed of the league’s comings and goings via these posts, new photos, and even video footage. Action will kick off again this week. Oh, and big ups to Bayern Munich for winning the Cup Championship two weeks ago! Great leadership from their captain Ameed Bawab set the tone, and they delivered quality performance after quality performance across the tournament. Congratulations should also be extended to Arsenal for winning the League Championship (best Regular season record) and to Sameh Kharoshe for taking home the League’s Golden Boot award (top scorer). I’ll be writing again soon. Until then, folks, stay fly. Colin is a former intern and currently the Youth Camp Coordinator. One of the most rewarding aspects of the nonprofit field is meeting and working with so many talented and passionate interns. At TYO, we usually learn as much from them as they do from us. Which is why it is always so hard to let them go! Three months ago, I introduced a few new folks to TYO: Leila, Adam, Colin and Mathilda. This fantastic four has shared their own passionate blend of stories, skills and knowledge with the Nablus community and TYO since January. 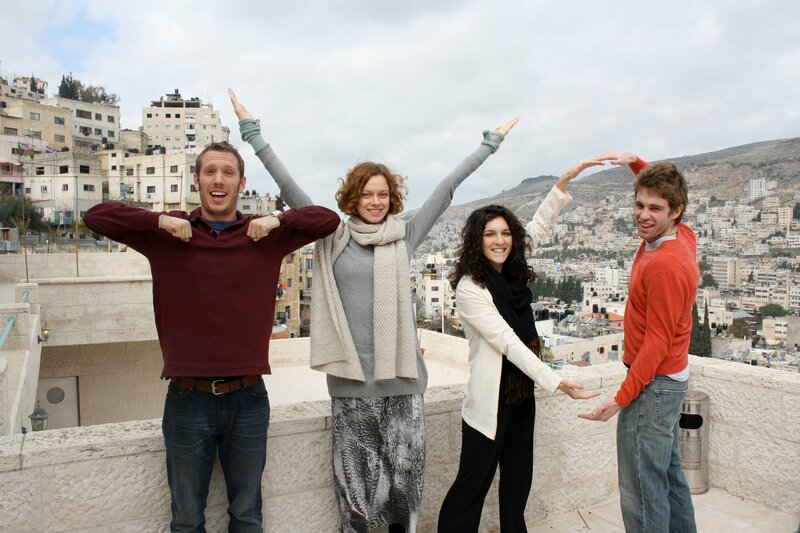 Adam, Mathilda, Leila, and Colin, Spring 2011 interns, representing TYO on the terrace over looking Nablus. Last week, all too soon, it was time to say farewell as these phenomenal individuals continue along their own paths to affect positive social change at home and abroad. Adam begins law school this fall. Leila begins a Hart Fellowship in June. Mathilda is staying on at TYO to coordinate the Triple Exposure project, and Colin also joins our summer team to coordinate youth activities before beginning a Fulbright fellowship in August. This was a tremendously talented and incredibly valuable group. They taught classes in leadership and communications, music, English and photography. They set up community English courses and organized an evening soccer league for neighborhood youth. Each week, they shared their stories and experiences on this blog. They will be missed! Congratulations and farewell, Spring 2011 interns! Thank you so much for your service, efforts and hard work. We wish you the best of luck with all your future endeavors! Chelsey is the International Internship Coordinator at TYO Nablus. Twelve year old Doha is from Khallet-al Amood, Nablus. Like many of the Triple Exposure kids, she loves to photograph her siblings. She took this photo of her one year old brother, Omar, on the terrace when he was crying out for their mother. “Triple Exposure” is an initiative of Tomorrow’s Youth Organization to promote art education for youth, community access to public art, and a better worldwide understanding of Palestine. The ability of fellow passengers to doze off during the hour service ride between Nablus and Ramallah still confounds me. Granted, I’m no seasoned commuter, but with about a dozen rides to boast, I still find that I can barely tear my eyes away from the impressive rolling hills long enough to change the track on my iPod. There is something truly spellbinding about the way those coveted hills glisten, illuminated by the late afternoon sun’s ebbing rays as they subside beyond the ridge. Yes, when there are no shrieking babies involved, the ride is a serene one, lending itself to introspection and joyful reflection. Whether the following adventure is to be attributed to these weekly drives or to the breathtaking, expansive view of the Nabulsi hills we daily enjoy from the TYO center is still unclear, but last week we interns were inspired to go “frolic through the hills.” The weather on Saturday was splendid: a sunny spring day with clear blue skies, perfect for a spontaneous stroll through the wadi. The valley’s bending stream was to be our sole guide. It apparently leads all the way to the Wadi Badan village, which was our notional destination as we stepped out of the cab at the edge of the highway and began our descent down to the babbling brook…we never made it to Wadi Badan. Less than ten minutes into our hike, as we neared the bottom of the ravine and paused to take in the pristine view, there was a rustle 100 meters ahead, and a wild boar bolted out of the brush, racing along our projected path (i.e. the water) to Wadi Badan. More so to avoid having to constantly cross the stream than to avoid a second encounter with Pumba’s cousin (or so we told ourselves), we decided to continue toward Wadi Badan at higher ground. About an hour and a number of clumsy hands-first falls into thistle bushes later, we realized that the ascent to reach the mountain’s summit was interminable, and we spent the latter half of the next two hours delicately retracing our steps back to the water. After our four hours of “frolicking”, we found ourselves back on the highway, about a one-minute drive down the road from where we had begun our excursion. Leila is an intern at TYO Nablus. April 9: A Children’s Photography Exhibition at the National Children’s Museum in Maryland! The West Bank is a place that never fails to attract media attention for its politics and conflict and history, but what gets much less attention is what the life of a Palestinian is really like. 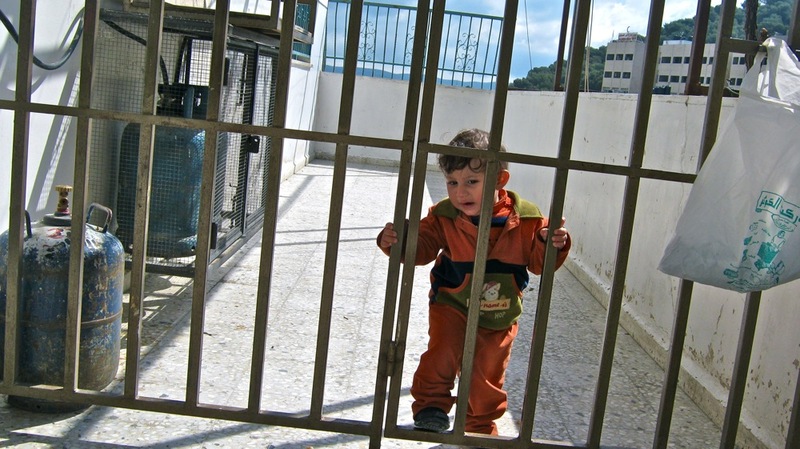 Even less known is what the life of a Palestinian child is like, since, being too young to write novels or poems or articles or songs, younger Palestinian children are usually forced to allow the older generations to speak for them. The story of how a young boy or girl grows up to become the person we then read about in the news is so rarely told, and rarely is it told without the interference of someone else’s interpretation. The simplicity of a point-and-shoot digital camera allows us to begin to breach this gap in storytelling and expression. Since 2009, students at TYO have been taking home digital cameras to photograph and share their lives. TYO’s exhibition of the children’s photography, through an initiative of the Triple Exposure project, ran in the West Bank last year. It is now moving to the States for the first time! Come see their photography at an event on April 9 to be held at the National Children’s Museum in National Harbor, Maryland. Who: Open to the public and family friendly! You’ve got a day and a half to squeeze in all the wonders of the cradle of monotheism, you say? Thirty-six hours to traverse a city that by some strange serendipity (or divine humor) became the nexus of three of the most influential historical, religious, and cultural forces the world has ever seen? Well, you better pack your running shoes, your camera, a big appetite, and, if possible, a TYO Intern Coordinator that knows the city like the back of her hand (thanks, Chelsey). Alright, well, let’s take care of where you’ll lay your head to rest first and foremost. The Lutheran Guesthouse on St. Mark’s Road of the Old City blends comfort with a sense of antiquity, modern amenities and luxuries lodged in a building that breaths history, authenticity, in short, a building that breathes Jerusalem. The staff is warm, helpful, and engaging, the unlimited coffee equal parts enticing and dangerous (for those of us with less self-control), and the location ideal. Indeed, take a walk out onto their back patio around sunset and you’ll see the last rays of daylight reflecting off the golden roof of the Dome of the Rock. The hotel is situated right on the outskirts of the Christian Quarter, a reprieve from the hustle and intimate alleyways that define the Old City while still feeling connected to that energy and vibrancy. As you might guess, the Guesthouse is generally populated with bands of German travelers and pilgrims, always lovely company for taking in the sights or sharing a cup of tea. I’m sure this comes as no surprise, but guess what? Jerusalem is a very religiously oriented city! As is such, you need to tailor your visits to the different holy sites to reflect the particular schedules that each faith follows. The Dome of the Rock is closed to non-practitioners on both Friday and Saturday. You can get down to the Western Wall Plaza any time, but if you want to snap photos, you better make sure you’re not there during the Shabbat (Friday evening-Saturday evening). 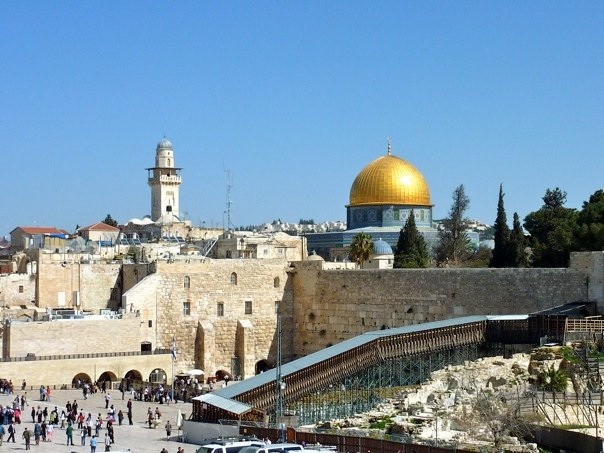 As for the multitude of Christian sects that divide and share ownership of all the churches dotting Jerusalem’s landscape, understand that Saturday evening through Sunday afternoon will probably offer limited access due to services. 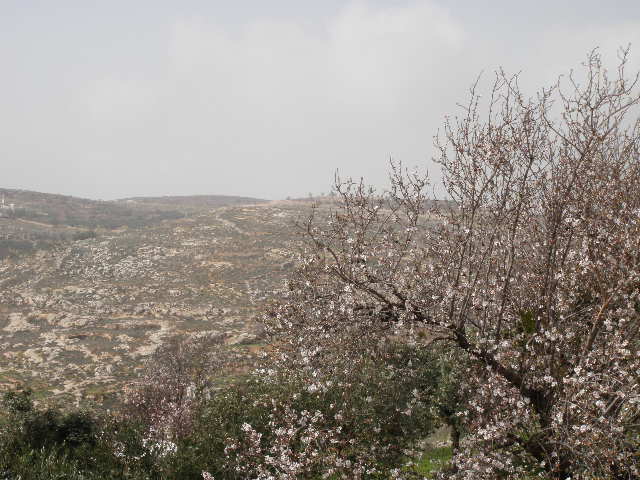 On Sunday, March 27, 2011, eight stellar TYO volunteers, with a few American interns and staff members in tow, took their expertise on the road to Tulkarm. Arriving at the Rosy Palestine Kindergarten after lunch, the volunteers implemented two-hours of enriching field day activities including sports, arts, parachute games and face-painting. This site visit marks the second time this session that the TYO Volunteer Program has run activities out in the local community. 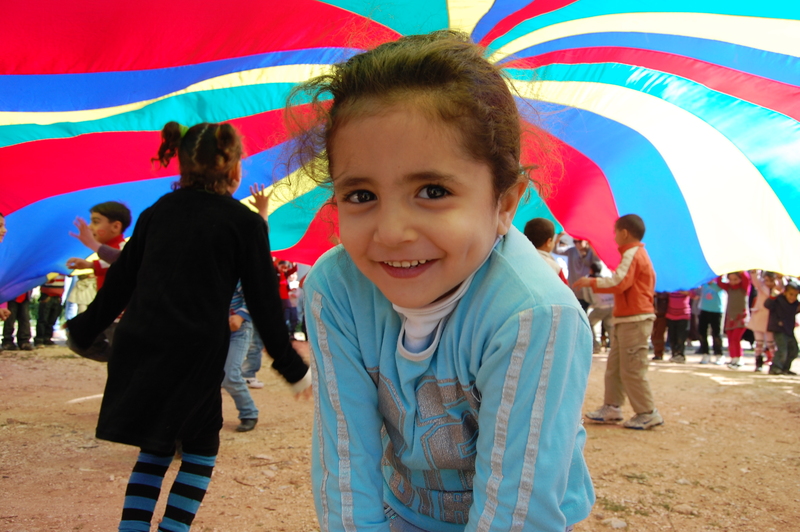 Last week, a group of volunteers along with Volunteer Coordinator Ahmad led a field day at Askar refugee camp. Check out more photos from the day on TYO’s Facebook page.